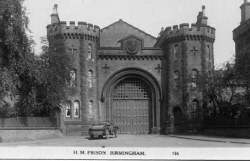 At 8 am on Tuesday March 17th 1885, Henry Kimberley was the first man to be executed within the walls of Birmingham prison. The press reported that the hangman was James Berry of Bradford and that ‘the sentence could scarcely have been carried out better than it was’. Kimberley was said to have shown ‘unexpected fortitude’. Henry Kimberley was a 53 year old screw-tool maker, described as being ‘thick-set, about 5ft 6in high, with a low beetling forehead above which rises a tangled mass of brown hair, the lower part of his face being long and thin with a slight moustache’. The press reported that he looked older than 53, adding that his wife had claimed he was ‘nearer 60’. Kimberley had been separated from his wife for many years and had been cohabiting with 39 year old Harriet Steward for at least 17 years at 24, Pershore Rd. Although they lived in relative comfort, the relationship had become tempestuous and Harriet and Henry agreed to separate. The Daily Post reported that a formal solicitors agreement had been reached by which Harriet would keep the house whilst Henry would receive £20 and a piano. His plan upon the separation had been to leave Birmingham, but it appears that he changed his mind and returned to try and win Harriet back. Henry’s efforts were futile and, according to the Post, goaded into madness by her fixed resolve, he seems to have conceived the fiendish idea of taking her life. Several witnesses claim to have heard Henry saying that he was going to shoot Harriet if he would not have her back. Over the course of the Christmas holiday, Henry continued his harassment, even breaking into the house on Pershore Road in the middle of the night. 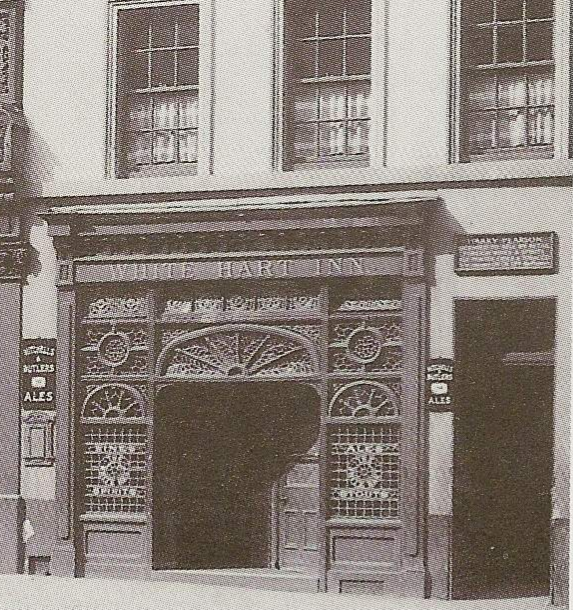 On December 27th Harriet went to see her friend, Emily Palmer, whose husband owned a number of pubs in the town. Emily and took Harriet to one of those pubs, the White Hart on Paradise Street for a drink and perhaps to offer support to her friend. Henry Kimberley arrived and spent around 45 minutes trying to convince Harriet to take him back. At around 7:45 pm, Kimberley asked one last time, have you determined? Are you going to live with me or not? Harriet replied that she was not. A barmaid who witnessed the incident said that Kimberley then calmly pulled a revolver from his pocket and fired it directly at Harriet’s head, catching the left side of her skull. She jumped up before falling to the ground. As her friend moved to tend to her Kimberley turned the gun and shot Emily in the neck. As Emily staggered along the bar, holding her bleeding neck, Harry Parsons, the potman behind the bar attempted to detain Kimberley, who turned the gun on him. With the assistance of another man in the pub, Parsons was able to wrestle Kimberley to the ground and take the gun from him. Police-Constable Hart, who had heard the shots and cries of ‘Murder!’ then arrived on the scene and Kimberley was taken away. Both women were taken to the Queen’s hospital; sadly, Emily Palmer died from the wound to her neck; her funeral, at St. Mary’s Church Acocks Green was attended by a large crowd that assembled along the Stratford Road. Kimberley was charged with the capital offence on ‘coroner’s warrant’. This was a notification ordering the constable to summon a jury and was issued whenever the coroner deemed a death ‘suspicious’. Kimberley’s defence upon his arrest was that they have ruined me. They have broken up my home worth £150. They have harboured her up there and at the Gem (here Kimberley was referring to Emily Palmer and her husband, the ‘Gem’ being another of their hostelries) and ‘ticed her away from me. At trial he pleaded ‘not guilty’, but the evidence was overwhelming. Not only had he issued threats several days before the murder, he had also purchased a revolver at Snow Hill for 15 shillings on Christmas Eve. There would be 39 further executions at Winson Green, the last being that of 20 year old Oswald Grey in 1962. Information in this post taken from Birmingham Daily Post – copies of Birmingham nineteenth-century newspapers are available to view online by subscription to the British Newspaper Archives and free of charge at the Library of Birmingham Archives and Heritage, 4th floor. Please support our local archives.